Whether you liked it or not, Friends was one of the biggest sitcoms of the late 90s and early 2000s. With the show long gone from the airwaves, people used to love the show continue to look back on it with fond nostalgia. 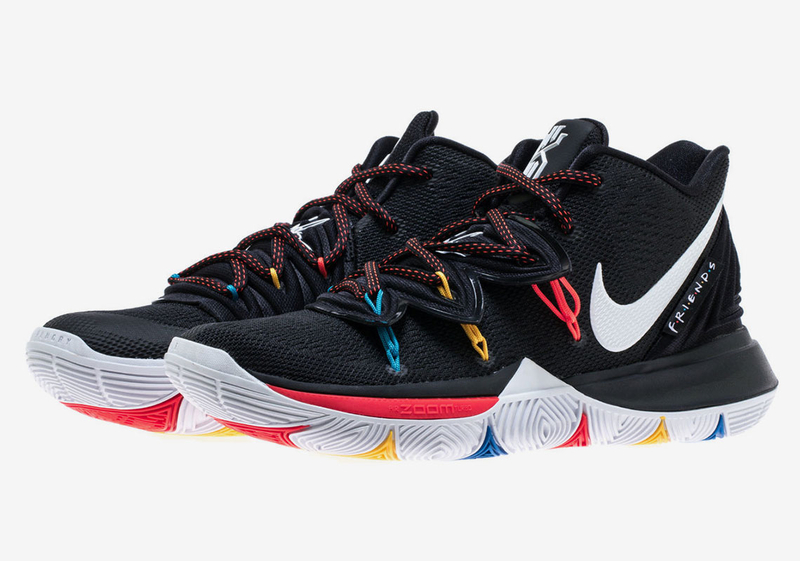 The latest colorway of the Nike Kyrie 5 pays homage to the shoe with a 90s retro-inspired colorway, appropriately called "Friends." 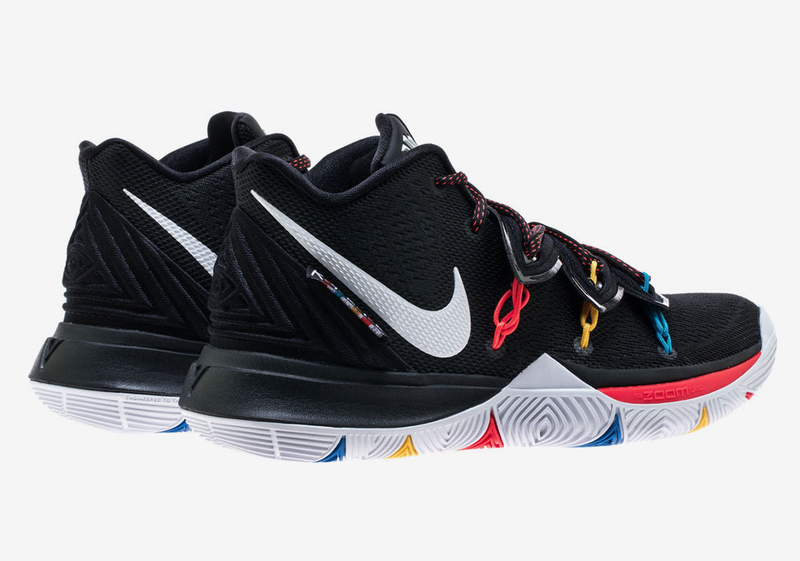 The shoe has an all-black upper but the laces are held in place by blue, red, and yellow tie-wraps, all white the highlights on the white midsole use those colors as well. A white Nike swoosh and Kyrie Irving logo are also on the upper, completing the Nike branding. Finally, along the side, you can see the "Friends" logo which helps tie-in the thematic nature of the sneaker. According to Sneaker News, these kicks will be released on May 16th of this year for $130 USD.